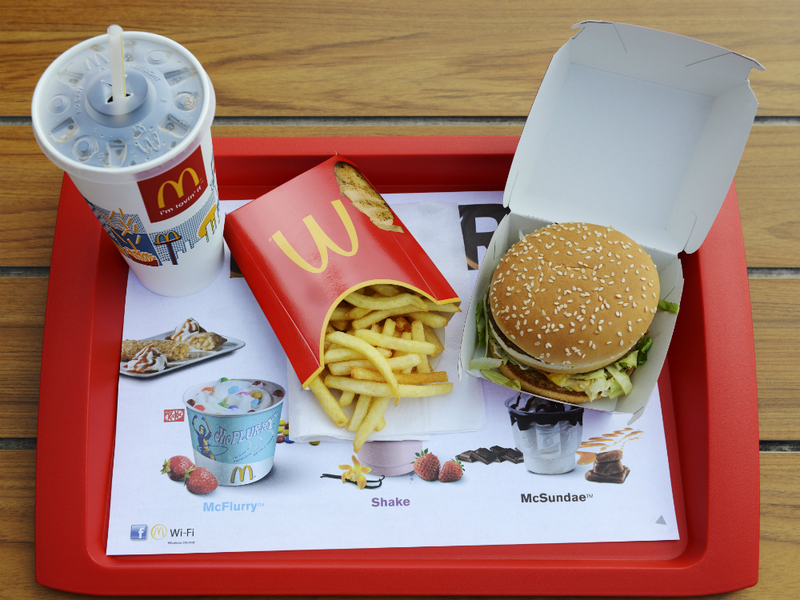 We all know fast food is bad for us, but that doesn’t necessarily stop us from craving a Big Mac after a night out. Now, thanks to this infographic from Fast Food Menu Price (FFMP), we can see exactly why it’s so bad for us. Great. It’s been argued that not all of the data included in it is completely accurate, but it still gives us a general idea of what’s going on in our bodies for the first hour after eating one of these delicious (but sadly quite bad for us) burgers. A regular Big Mac with cheese and sauce contains 540 calories – and that’s just the burger on its own. It also raises your blood sugar levels to abnormal levels. These kinds of foods trigger your brain to release higher levels of feel-good chemicals like dopamine than usual and because of this they can encourage compulsive eating. The bun from a Big Mac contains fructose and corn syrup, which are both addictive and can further increase junk food cravings. 30 minutes after eating one and the sodium content of the burger, all 970 milligrams of it, is enough to cause dehydration and trick your body into thinking you’re hungry again. Your body usually takes between 24 and 72 hours to digest food, but because hamburgers are greasier than your average meal, it can take more than three days to fully digest a Big Mac. 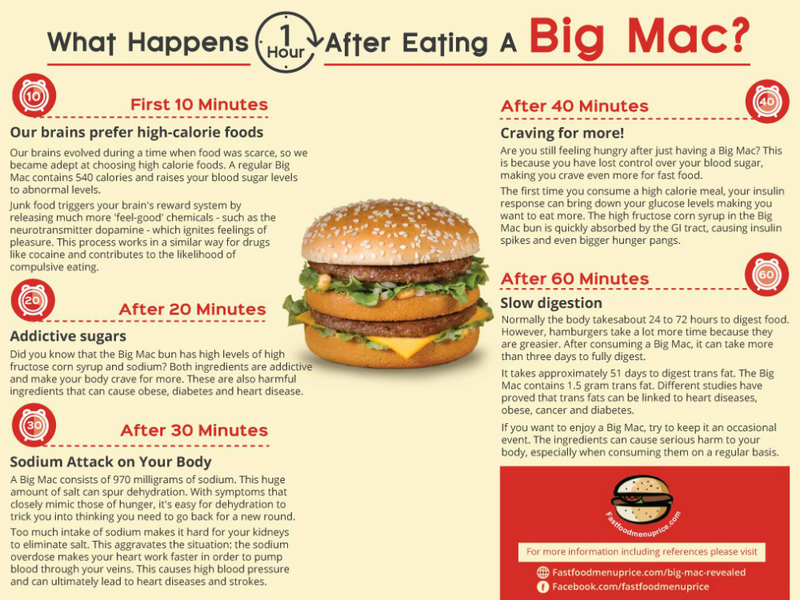 Of course, we’re not telling you to never eat McDonald’s again, because who doesn’t love a Big Mac? If you want to keep including these in your diet, just be sure to keep those hangover trips to Maccy’s to a minimum.